Eric was 150 pounds overweight, depressed, and sick. After a lifetime of failed diet attempts and the onset of type 2 diabetes due to his weight, Eric went to a new doctor, who surprisingly prescribed a shelter dog. And that's when Eric met Peety: an overweight, middle-aged, and forgotten dog who, like Eric, had seen better days. The two adopted each other and began an incredible journey together, forming a bond of unconditional love that forever changed their lives. Over the next year, just by going on walks, playing together, and eating plant-based foods, Eric lost 150 pounds, and Peety lost 25. As a result, Eric reversed his diabetes, got off all medication, and became happy and healthy for the first time in his life - eventually reconnecting with and marrying his high school sweetheart. 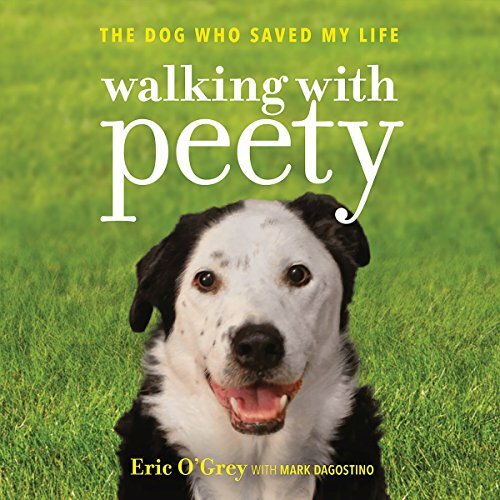 Walking with Peety is for anyone who is ready to make a change in his or her life and for everyone who knows the joy, love, and hope that dogs can bring. This is more than a tale of mutual rescue. This is an epic story of friendship and strength.